Today marks 45 years since Led Zeppelin released the album Houses of the Holy, so they've got today's intro tune . 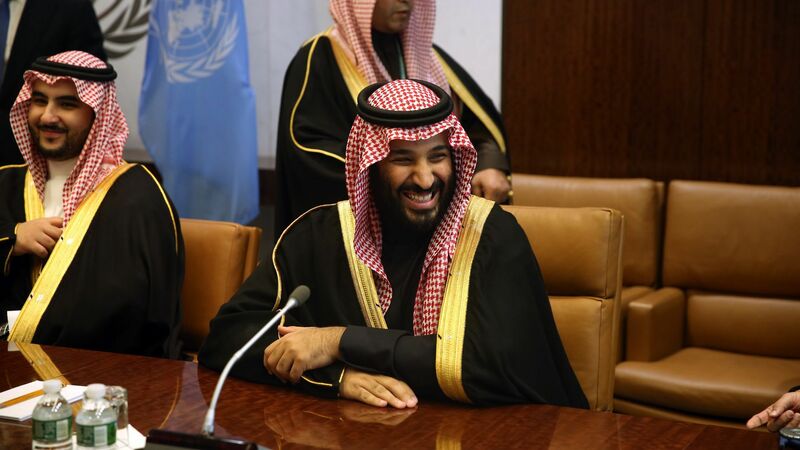 . .
Driving the news: Saudi Crown Prince Mohammed bin Salman (aka MBS) told Reuters that the kingdom and Russia are weighing plans for long-term extension of their cooperation on oil market management. “We are working to shift from a year-to-year agreement to a 10 to 20 year agreement,” the heir to the Saudi throne said. Why it matters: It's the strongest, highest-level signal yet that the two-year-old pact between OPEC and Russia to limit supplies could be transformed into a lasting agreement between the huge producers, whose market positions have been challenged by the rise of U.S. shale. The big picture: Talk of transforming the so-called Vienna Group of OPEC and Russia (among other non-OPEC players) into a longer-term alliance has been in the bloodstream for months now. For instance, OPEC Secretary General Mohammed Barkindo brought it up repeatedly at a major energy conference in Houston this month. But the Financial Times points out that MBS' comments are the "first time a timeframe has been specified." The intrigue: Prominent oil analyst Bob McNally told Axios that the comments from MBS raise the stakes of the idea for Russia. “This goes to Putin now,” he said, referring to the Russian president. “It’s a bit of an open question as to whether Russia will sign up for something as grandiose as a multi-decade cartel,” said McNally, president of the Rapidan Energy Group consultancy. Between the lines: Amy Myers Jaffe of the Council on Foreign Relations said the discussion could signal that the Saudis and Russians are hedging in case global oil demand peaks sooner than they have publicly acknowledged is likely. Go deeper: Click here for the rest in the Axios stream. Newly released Gallup polling shows a widening partisan split on climate change and a growing rejection among Republicans of the dominant scientific views on the topic. Why it matters: The polling underscores that despite rare bipartisan policy agreements, prospects for sweeping legislative action on climate change are as remote as ever. The data arrives as the White House is unwinding several Obama-era global warming initiatives. What they found (Check out the chart above): The nationwide telephone poll of slightly over 1,000 adults in early March shows that almost 9 in 10 Democrats agree that global warming is caused by humans, compared with roughly a third of Republicans. The scientific consensus is that human activities, notably the burning of fossil fuels, have been the dominant driver of warming since the mid-20th century. Yes, but: Even with a dip from 2017 to 2018, there has generally been a rise in recent years in an overall public belief in human-caused climate change, growing concern about the topic and an agreement that its effects are already apparent. It happened last night: Per the Wall Street Journal,"Saudi Arabia’s sovereign-wealth fund and Japan’s SoftBank Group Corp. announced plans to launch the world’s biggest solar-power-generation project, providing another ambitious goal for two of the world’s richest investors." Why it matters: If the plan to develop 200 gigawatts of power by 2030 in Saudi Arabia actually comes to pass, well, that's a lot of solar. By way of comparison, the U.S. added a total of 10.6 GW of new solar PV capacity last year, according to a recent industry report. It also underscores Saudi Arabia's efforts to diversify its oil-dependent economy. One level deeper: MBS and SoftBank CEO Masayoshi Son jointly announced the plan in New York. According to the WSJ and other reports, the total costs are estimated at $200 billion, with an initial $5 billion stage beginning construction this year that's designed to bring 7.2 GW online in 2019. Huge: Bloomberg points out Saudi Arabia only has small-scale solar projects there now. And, Reuters has more good context on its projected scope. "That would add to around 400 GW of globally installed solar power capacity and is comparable to the world’s total nuclear power capacity of around 390 GW as of the end of 2016," Reuters writes. 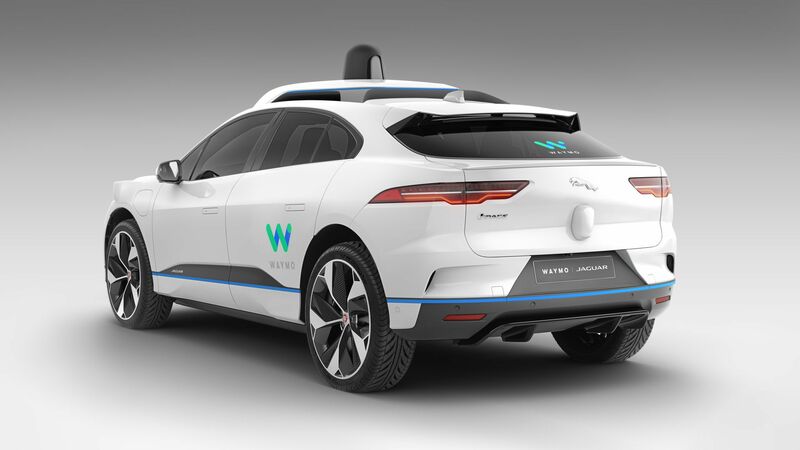 New product: My Axios colleague Kia Kokalitcheva reports that on Tuesday Waymo announced a new partnership with Jaguar Land Rover, including the companies' first collaboration: an all-electric Jaguar I-PACE vehicle outfitted with the former's autonomous driving tech. By the numbers: Waymo plans to roll out its commercial ride-hailing service with self-driving cars this year (starting in Phoenix) and says it will add 20,000 of these I-PACE cars to its fleets for testing over the first two years. According to the company, these vehicles alone would be able to complete one million trips. Electric power: Hybrid and all-electric vehicles have been popular choices for makers of self-driving car technology. General Motor's Cruise unit, for example, is developing an autonomous version of its all-electric Chevy Bolt, and Waymo has already been working with Chrysler Pacifica Hybrid minivans. Tesla: Moody's downgraded the company's ratings on Tuesday, citing the "significant shortfall" in the Model 3 production, and moved its outlook from "stable" to "negative." "The negative outlook reflects the likelihood that Tesla will have to undertake a large, near-term capital raise in order to refund maturing obligations and avoid a liquidity short-fall," the ratings agency said in a note. Between the lines: The move highlights the pressure on the Silicon Valley automaker to deliver on pledges to ramp up production of the mass-market sedan that's critical to its future. Tesla hopes to reach 5,000 per week by mid-year. More: CNBC unpacks the Moody's analysis here. The two top executives at Ford Motor penned an article Tuesday urging support for increasing fuel-economy standards and keeping one national program amid rumors the Trump administration is preparing to do otherwise ahead of an April 1 deadline to issue a decision. Between the lines: The fact the company decided to write the piece, published on Medium, shows the high stakes for global automakers. The tension over these standards between industry and the Trump administration is the latest example of how companies are concerned about rolling back too many regulations and causing more uncertainty than certainty. Yes, but: That’s careful wording. It allows Ford to still ask for a less stringent increase and more flexibility than what the Obama administration set for 2025 but would still be an overall increase from current and previous levels. It’s a type of nuance that’s often lost in Washington politics. Ford and other car companies have been clear about not wanting EPA to revoke a waiver California received to issue more stringent standards. C-suite changes: Gretchen Watkins, the former CEO for Maersk Oil, is expected to begin overseeing energy giant Royal Dutch Shell's growing U.S. business, Bloomberg reports. The move comes days after BP promoted Susan Dio to be president and chair of BP America, the oil major's massive U.S. subsidiary. Quick take: Bloomberg notes that this is the latest development for female executives being promoted to "oversee marquee U.S. assets," after the oil industry has been largely dominated by men. There's still a long way to go, however, as 80% of industry workers are men and there's a significant wage gap. Offshore drilling: Politico says it has the backstory on Interior secretary Ryan Zinke’s surprise announcement in January that he was yanking Florida from the agency’s plans for expanded offshore leasing. “The records reaffirm the perception at the time that the Trump administration’s decision to reverse course and remove Florida from the list was carefully choreographed to give Scott a political win in his widely expected challenge this year to unseat [Democratic Senator Bill] Nelson,” they report.